Full Moon in Gemini…Unlock your Abundance! La Luna, the gorgeous Moon turns Full in the astrological sign of Gemini at 4:44pm Central time on Wednesday, November 25th. The presence of this moon will last for a span of 48 hours and bring with it a surge of abundance and freedom! It is absolutely fitting that it moves through as the U.S. celebrates Thanksgiving, a traditional time to celebrate harvest and family. The moon space will also generate this notion of prosperity and asking you to question the areas of your life that are ripe with possibility. What in your life feels so full and rich that it’s ready for more? The New Moon on 11/11 asked you to release what was heavy so you could pass the gateway into manifesting your dreams. Now, the Moon beckons you to continue to go for your desires and push the trigger for more. Areas of focus on are self care and health as well as launching new career endeavors. This moon falling in Gemini will govern over our communication. Watch what you say and be clear and direct with your words. Gemini rules the throat chakra and we need to not only say what we want but listen first to the inner guidance from your soul. Watch for when your mind will try to convince you otherwise and reframe. How true are the judgements you are making? I mean, really? The cosmos are telling us it’s okay to break the rules. They were never really yours to follow to begin with! Imagine what could happen if you just trusted and let the universe take the reigns from there? I’m offering a guided MP3 meditation to ease you through this moon. It will provide confidence & clarity with a bit of sweet surrender as you move into this next phase. You can access it here. It’s great to listen to solo or with your family before you feast! During the 45 minutes you’ll learn more about what the Full Moon means in Gemini, activate your throat chakra, as well as journey with your Angels to unlock the magical cornucopia of abundance + prosperity! And of course leave time for burning at the end! You can also view my latest YouTube video to learn more about how to engage in this Moon Magic. Sending you peace + love of the cosmic forces during this blessed time! p.s. need extra guidance to up your self care and portion control throughout the holidays? My friend Gabby has you covered! She’s offering her amazing digital program at a delicious discount until Friday! Check it out here. The Moon is ever so mysterious. Every night it illuminates the sky and creates the rise and fall of our ocean’s tides. Subconsciously, it represents our emotions and personal needs. 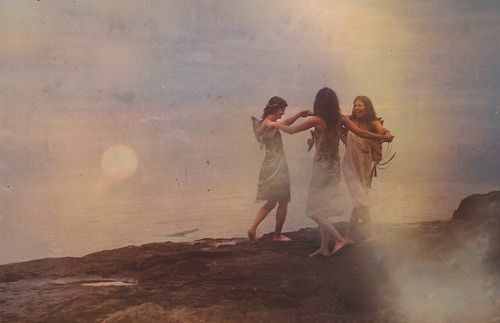 It is our inner child and spontaneous self. Where the Sun controls the hard and masculine of the earth, the Moon carries our softness and feminine. Every month there’s buzz about the New Moon or you look up to the sky and see a bright shiny Full Moon. You know there is something to it or perhaps even something you should be doing for it, but what? There are many different resources however it gets pretty overwhelming trying to keep it straight. Perhaps there is another way, an intuitive knowing as to how to best go about the ways of the moon…. I have been following the Moon for quite some time and I’ve learned much in my participatory studies. 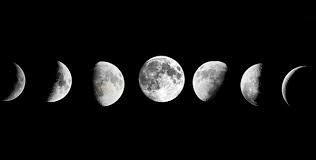 Unlike the Sun which takes 365 days to move through a rotation, the moon completes it’s cycle in just 28-29 days. Instead of following yearly goals and intentions, we can set monthly ones along the moon’s path. Re-directing our lifestyle in such a way creates more satisfaction and fulfillment in our every day. The power of the Moon amplifies when we draw in Astrology. The moon sets it’s track through the Zodiac wheel and by comparing which Moon phase is in a particular sign, we can learn how to best operate, manifest and feel throughout our day. We figure out which days are best for abundance and others that are better to retreat and hide out. The combination of Astrology and the Moon phases is a gift that blends the cosmos and science to enhance our state of being and opportunities in life! So how do the two work together exactly? What does it mean to have a Moon sign and how does that play into the cycles? How can you manifest properly and work best with the energy? It often becomes too much to consider and then it gets ignored or we kind of hope we are doing it right… Know the feeling? As an astrologist, it is my responsibility to raise awareness of the Moon and how it effects us. I also know it can seem confusing and it’s my intention to share this in a way that is relatable AND memorable! Ready to rock out each New and Full Moon to it’s fullest? Or impress your friends by starting your own Moon circle? Enter the Moon Magic course! In this program, we’ll track the moon cycles and connect to them in a way that is simple and makes sense! I’ll lead you through 2 recorded calls with informative PDFs, presentation slides, 2016 Moon phases calendar and guide to leading meditations.. There is also a Facebook group to share Moon intentions, ask questions and hold space for each other. Essentially, participating in this course for one Moon cycle will amplify your manifesting magical powers! You’ll even receive templates to create your own New Moon & Full Moon circles! This includes sample meditations, music selections and more! Purchase today at a special lunar rate of $144! Order here. You can also purchase together with an individual Moon Deep Dive Session for only $222! (price includes course AND 1:1 session). Book your appointment here. I am OVER THE MOON to start working with you!! While below is the suggested schedule, the course can be completely done at your own time! All calls and meditations will be recorded for your convenience. Receive a special meditation recording to implement at the onset of the New Moon. We will also create a sacred space on the Facebook group to share our intentions and utilize the lunar magic to increase our potential for expansion, prosperity and more! Danielle will also perform a personal ritual for everyone in the group for heightened elevation. Join Danielle for a live call (will be recorded) with Q&A. We will be discussing how the Moon phases work and how they correspond with Astrology. You’ll also learn about your Moon sign and why it’s significant. All information + presentation slides will also be provided via PDF prior to the call. Receive a special meditation recording on 2/23 to participate in during the Full Moon. Also participate in the Facebook group by offering your intentions and igniting desires by the power of the group collective energy. Danielle will also hold a private ritual for everyone in the group to accelerate their goals and expansion. Live call with Danielle (will be recorded) with Q&A. You’ll learn why it’s important to create rituals for the New and Full Moon as well as how to best implement journaling and other exercises you can use for your own journey and share with others. Receive the best tools and tips to create your own Moon circles, with templates that include meditations and suggested music. Learn the do’s and don’ts for optimal manifestation! You can also opt in for the private 1:1 Moon Deep Dive at any time during the month of March or April! To purchase the course with the reading, schedule here. To purchase the course only for $144, please go here. Are you ready to be a Moon Maven? Treat yourself to an amazing educational & enjoyable adventure from a free-spirited teacher that is here to make Astrology relatable, usable and totally fun! Hooray! Sign up today!! Don’t let another missed opportunity for cosmic connection to pass you by! The course is facilitated by Danielle Mercurio, Intuitive Astrologist & self proclaimed Gypsy Dreamer. She believes that the answers we are seeking already exist in the universe and has a way of bringing forth such guidance to reveal your fate. Having a passion for astrology and tarot cards since a young age, she utilizes these cosmic tools to create clarity and awareness for her clients. She has a light-hearted approach, while combining her own intuition and wit, to instruct in an upbeat and engaging way. Danielle is also a transformational coach and Kundalini Yoga & meditation teacher, who encourage individuals to stop playing small, build their confidence and make their dreams a reality! Click here to schedule a 1:1 reading with Danielle! Your Mission is to Rock Your Light for the World! Hungry for change? Do you feel like you’re constantly going back and forth with your business? Hoping for change and never quite seeing progress? Been there. Done that. Multiple times, my friend. I knew I had a greater purpose and a bigger mission in life.. the problem was, I could never quite get my footing. I would worry about how I’d make ends meet or who would actually think I was credible enough to help them. I felt alone, trapped and drained. I was literally at my breaking point and ready to give it all up when I found Gabby Bernstein. I joined her Spirit Junkie Masterclass training and everything changed! From the very instant I signed up, my business and soul felt renewed. Through Gabby’s strategic guidance, I was able to implement the tools and teachings to transition out of my Corporate 9-5 and into my light work full time! I now have a community and following I adore while living out my dreams in ways I couldn’t ever had imagined. I even had the opportunity to apply to be on Gabby’s team and am now one of her referred coaches! This is no gimmicky or ordinary digital training. Spirit Junkie Masterclass Digital is a transformational deep-dive into what it means (and takes) to be a spiritual leader. It equips you with the tools, knowledge and network you need to catalyze real, sustainable growth as a spiritual leader. The 8-module course is made up of video recordings, audio recordings and typed transcriptions from her live training events. What’s so awesome about the digital training is that you will be catapulted right into the auditorium with her. You will feel the energy of the group and get the best expression of Gabby as a teacher. The course includes all of this AND my ultra-groovy bonuses! Become eligible to join Gabby’s referral network. By participating in the Spirit Junkie Masterclass you have the opportunity to apply to become part of her elite international coaching referral network. (When you receive your Level 1 certification you become eligible to attend the Level 2 course, where you can apply to become a Gabrielle Bernstein coach.) This is the very path I took to be a Gabby Bernstein coach! Join 2 live Q&A calls with Gabby. Have access to an always-fresh, forever relevant program that you can take at your own pace and revisit for a lifetime. Experience the energy and enthusiasm from the live training in the comfort of your own home. Have the option to learn via video, audio, or typed transcripts – whichever format fits your learning style best. Plus there are special bonuses when you sign up for the training! This includes the Spirit Junkie Business Basics digital program! She created and designed this with her team of business professionals, including lawyers, bookkeepers, CPA’s and insurance brokers. It will give you everything you need to set up the back end of your business: contracts, negotiating tools, insurance information and much more. It also includes 2 free training calls with Gabby and her infamous Bust through your Blocks program! All for free when you sign up for SJMC digital here. In honor of your commitment to the Spirit Junkie way, I’m offering AMAZING, SUPER FUN BONUSES* WHEN YOU SIGN UP FOR THE MASTERCLASS HERE!!!!! 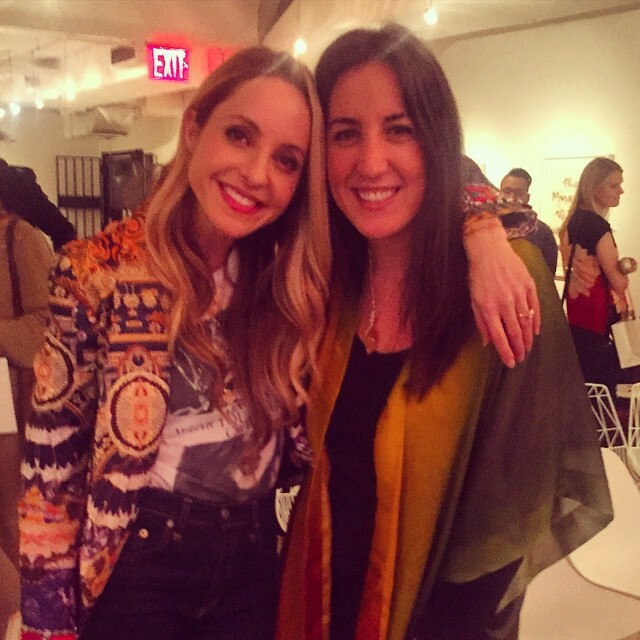 30 Minute exclusive Podcast interview w/Gabby Bernstein – I sit down with Gabby to discuss the top tips and tools for transitioning from full time work into a spiritual business. Spirit Junkie Master Class Planning Session – Create an action and accountability plan to best utilize the program. Held via phone w/Danielle. Moon Magic Course – Learn the meaning behind the moon cycles, how to manifest properly and create “moon-mentum”, and how it plays into Astrology. This course begins before the onset of the New Moon on 11/10 and runs through the Full Moon on 11/25. Need more? Here’s the complete breakdown of the course and the plethora of ways it will help your spiritual business! Module 1: How to Step into Your Purpose. In module one you will experience Gabrielle’s power-house introduction to the training. In her introduction Gabrielle shares her personal story of recovering from addiction and transitioning her career to becoming a leader in the world of personal growth. In her story you will recognize your own and step into your purpose. It’s likely that you’re quite familiar with your fears and how they block you. You know how fear keeps you playing small and hiding out in old patterns. This fear no longer serves you. Module 2 guides you to bust through the fear-based blocks that stand in your way of your purpose. Module 3: Tap into Your Greatest Source of Power. In module 3 Gabrielle will guide you to tap into your greatest source of power in your life and in your career. This is the most soulful module in the course. You will be led to tap into your source of inspiration and confidence to take the next right action in your business and in your life. Module 4: Expand your Repertoire. In this module Gabrielle teaches you concrete tools that you can begin to use in your life and your work. In this module you will learn how to lead guided meditations while protecting your own energy. You will also learn the transformational method of Emotional Freedom Technique along with Gabrielle’s Judgement Detox Process. In this module Gabrielle dives deep into her teachings on how to run a successful and abundant business. Gabrielle helps you become unapologetic about your earning capacity and provides you with a concrete pathway to make money in your field. In this module you will learn from one of the world’s leading online marketers, Derek Halpern, on how to turn your ideas into a digital course. This module will give you a quantum shift around your finances and raise your self-worth so that you can raise your net-worth! Module 6: How to Manifest Media for Your Message. Gabrielle spent the first five years of her career running a successful PR business. In this module you will experience her passion for publicity mixed with her spiritual faith. You will learn how to create a movement with your message, turn your blog into a business, and massively grow your online following. Module 7: Be a Public Speaker & Author. This module will give you the confidence to own your story as a speaker and author. Gabrielle shares how she became a New York Times bestselling author and international speaker. In this module she gives you step-by-step guidance on how to publish a book and share your story through public speaking. The tools in this module can be applied to any writing or speaking platform. Module 8: How to Turn Your Vision into your Reality. In this final module Gabrielle shares guidance on the next steps after the training. This final module is what kicks your practice into high gear and gets you into action. Gabby held a Q & A call last night and had hundreds of people show up for it. If you’d like to listen in, you’ll find it here. I’m holding space for you to dive into this truly transformational experience with me! Sign up here and together we’ll witness your dreams come to reality!